DHL Express is a division of the German logistics company Deutsche Post DHL providing international courier, parcel, and express mail services. Deutsche Post DHL is the world’s largest logistics company operating around the world, particularly in sea and air mail. 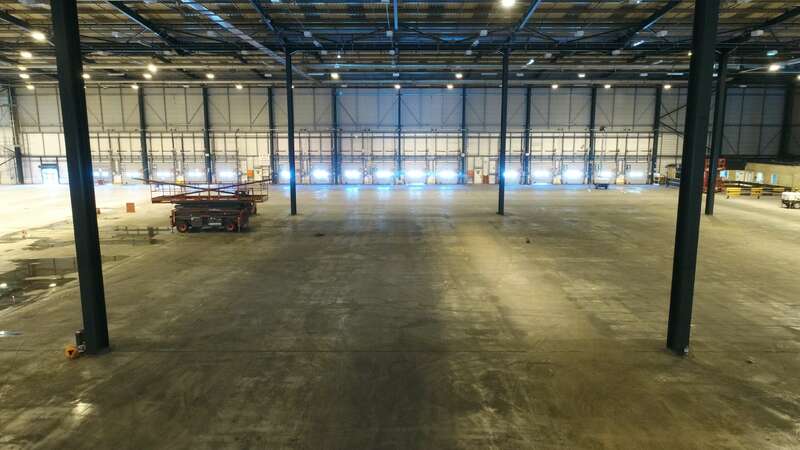 DHL owned a large warehouse in Didcot, Oxfordshire in the UK. 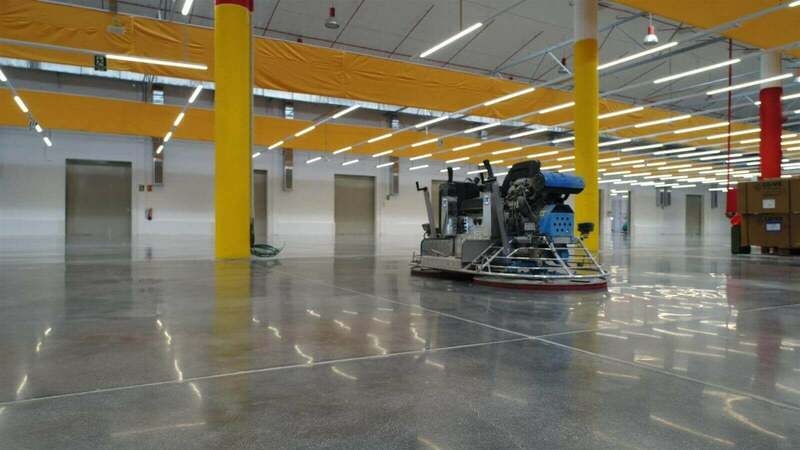 The floor measures some 18.000m². For 20 years the warehouse had been under heavy use with a large logistics company. 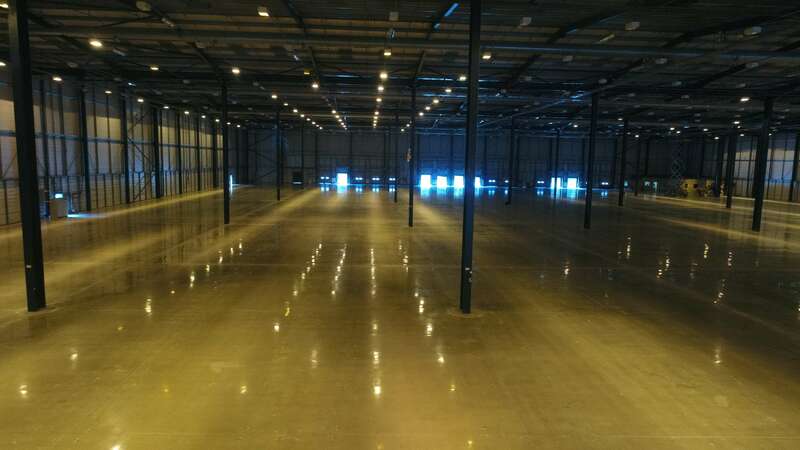 10 years ago the warehouse was rented to the major UK supermarket chain ASDA. Consequently the floor was in a poor state of repair. DHL decided to sell the warehouse to a pharmaceutical company. The buyer made it a precondition of the sale that the floor be brought up to a very high standard. 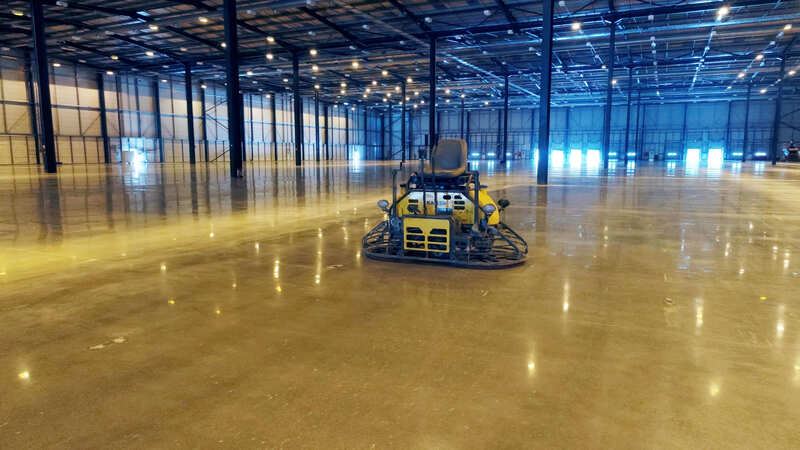 Working with one of our partners in the UK, the concrete floor was ground down with progressively finer diamond hard BECOSAN® grits (50, 100 then 200) to remove all micro roughness from the surface. 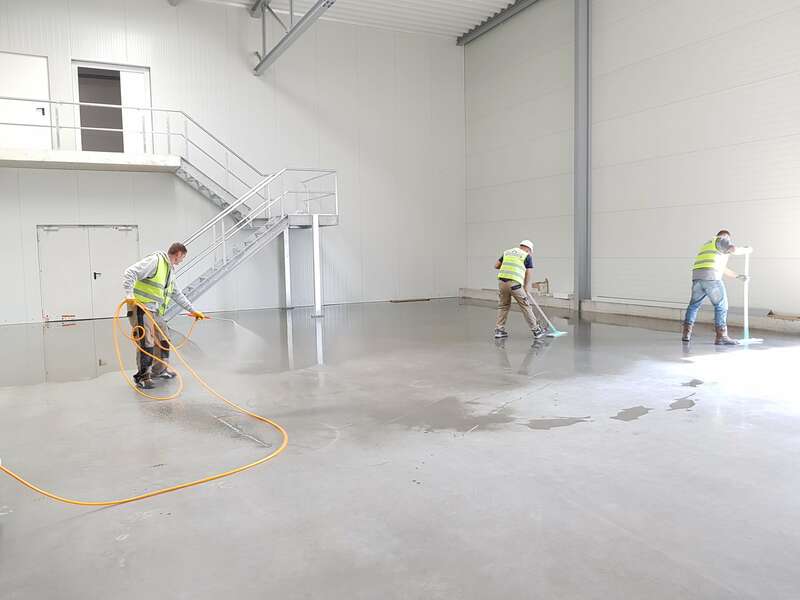 The floor was then treated with BECOSAN® Densifier to significantly increase the hardness of the surface. 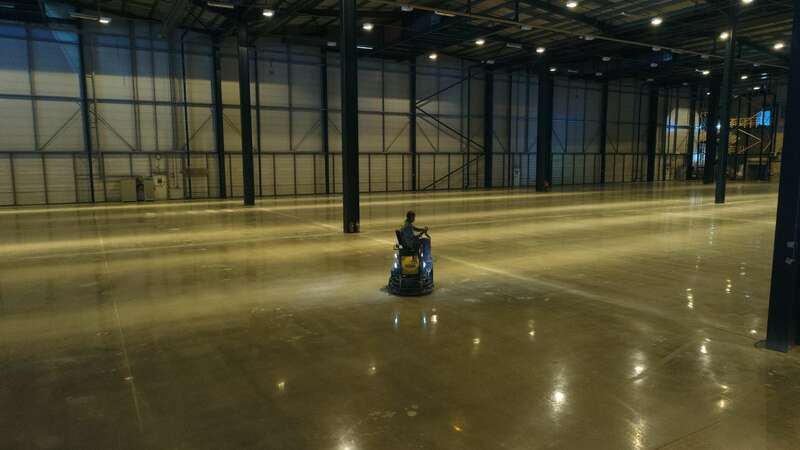 Kaizen Group then commenced a further round of grinding with finer BECOSAN® grits (400, 1000 and 3000) to bring the floor to a high gloss finish. The final stage was a comprehensive treatment with BECOSAN® Protective Sealer. We spoke to Justin Lemm, Project Manager for the DHL Project. 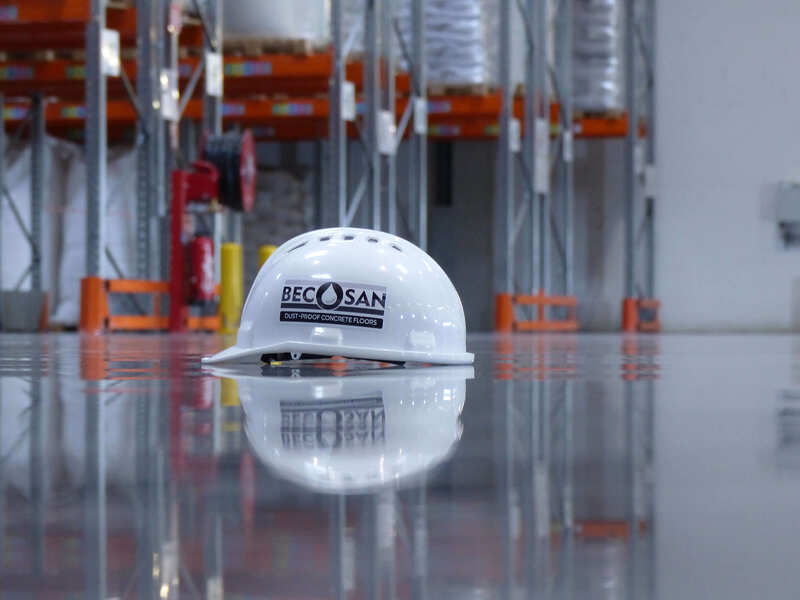 The BECOSAN® system meets perfectly the requirements of the business operations, increasing the hardness of the floor and making it easy to clean. The system allows us to obtain a surface very resistant to deterioration, especially in industries with heavy, high intensity traffic in multiple directions.